Welcome to Spruce Meadow Farm, a 5 generation family home is now available for you and your dreams. Located on 11 partially wooded acres which at one time had a working nursery and greenhouse. Step back in time and experience the history, character and charm of this historic 188 year old home that has been lovingly cared for. There are many possibilities for varied uses of this home, in-law suite, Bed and Breakfast, at home business, working farm with the huge bank barn, several horse stalls and wood shop. Some of these out buildings need some love. The current owner has done air B & B in the guest house. Enter the home from the landscaped walkway to the back porch, perfect for your enjoyment, to the large mud/laundry room. There are formal living room and dining room with built-ins and non working fireplaces. The family room has a stone hearth with large wood burning stove. The kitchen is a galley kitchen with breakfast room. The front porch has been converted to an in-law suite with full bath and kitchenette along with its own entrance. 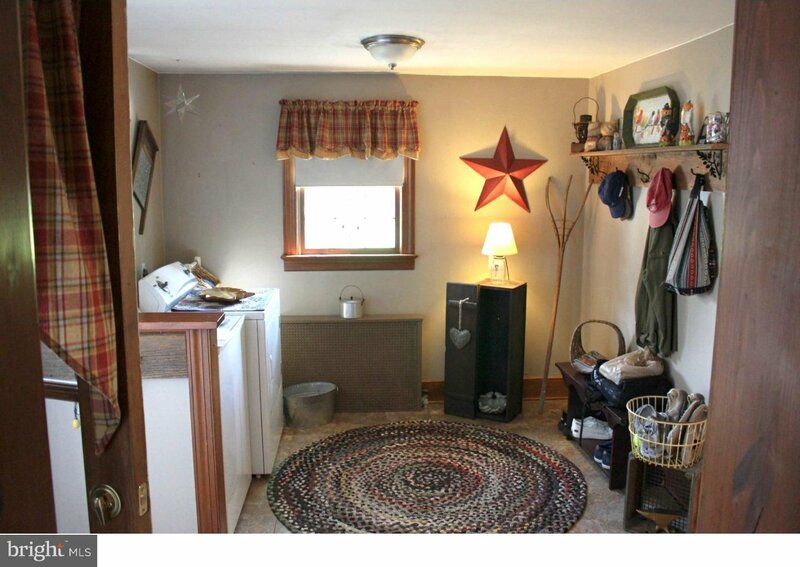 The full basement (cellar) has concrete floor and outside access and the original warming fireplace is there. The upstairs has four bedrooms, library or sitting room and 1 full bath. The guest cottage has a kitchen and bath with sliding glass door overlooking the property. This home could easily be used for horses why pay to board them? Come see the possibilities!! !